C.R.E. 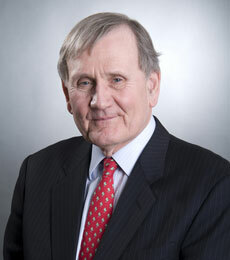 Preview — My conversation with Ambassador Thomas Graham, Jr. I'm privileged in this discussion here to visit with Ambassador Thomas Graham, Jr. who, over the better part of four decades beginning during the Nixon Administration, was a Senior U.S. diplomat involved in every single agreement concerning nuclear non-proliferation and disarmament issues. In great part due to this career he has become a passionate--not to mention highly knowledgeable and articulate--advocate for clean, green nuclear power as the planet's chief road away from climate change. He serves on the boards as chairman of two public companies in the nuclear power field and he is co-author of the book, Seeing the Light: The Case for Nuclear Power in the 21st Century, obtainable RIGHT HERE. 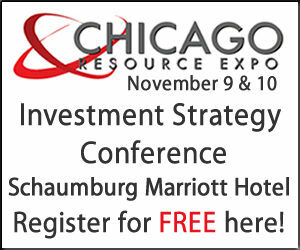 Ambassador Graham will be on our panel Friday evening, November 9 at our upcoming Chicagoland investment conference at the Schaumburg Marriott Hotel. If you haven't already, you may register to attend (FREE of charge, if you are an active investor) RIGHT HERE.